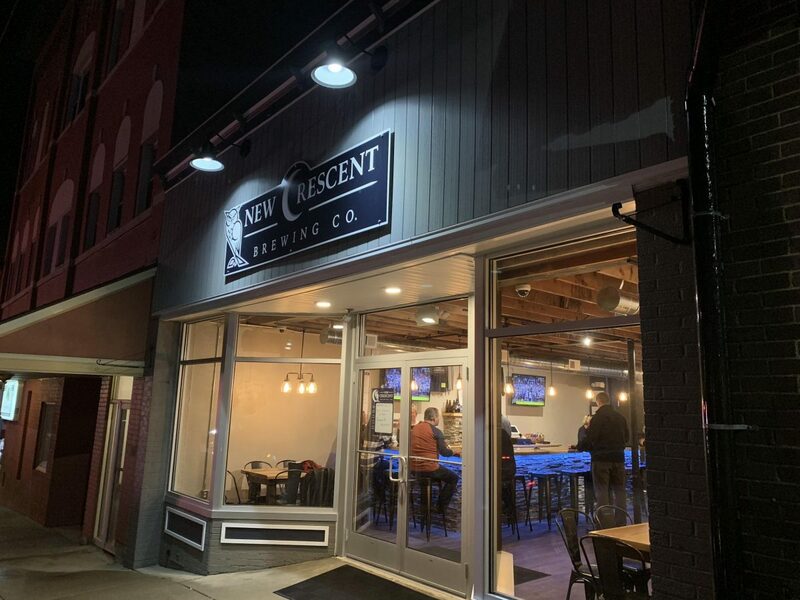 There’s a new brewery in the area and we were invited to New Crescent Brewing Company’s soft opening this past Saturday in downtown Irwin. 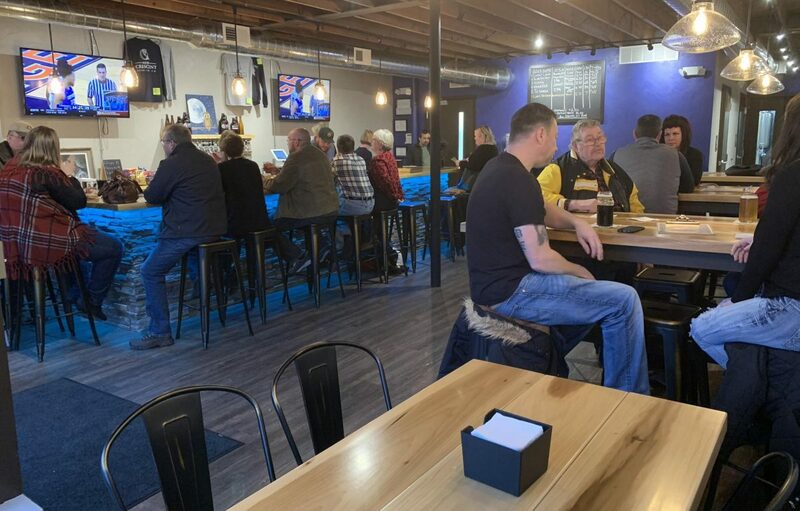 The rainy, cold weather didn’t stop us from popping into this new spot to give their beers a try and chatting with the owners to learn about their brewery. Owners John Titus and Tim Molinari were college friends and home brewers who after years of drinking and brewing beer decided to go for it and open their own brewery. As we chatted with John and Tim, we learned about their love for hoppy IPAs but that they’ll be brewing much more than that. We gave all 6 beers on their tap list a try and enjoyed the variety that had for their soft opening. Our favorites were Titania, a 6.9% American IPA and their Hydra, another American IPA coming in at 6.5%. We also enjoyed their stout, Uranise, which has hints of pizzelle and chocolate with an ABV of 5.5%. 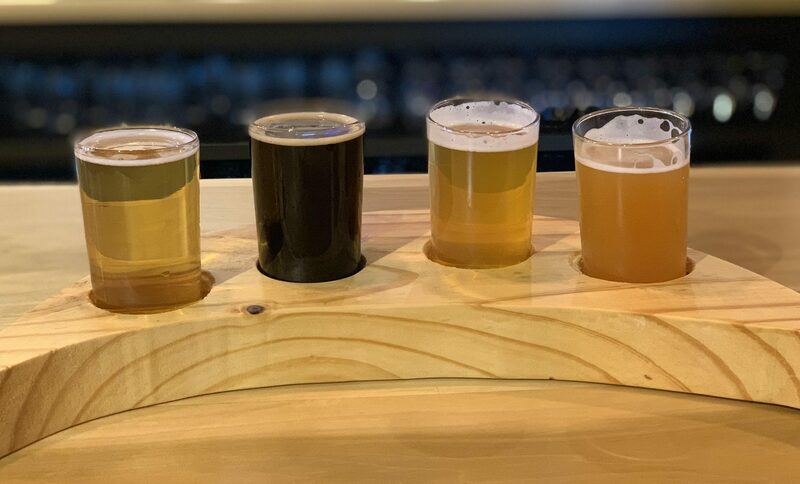 Other offerings they had during the soft opening included Contact Light, a 4.6% blonde ale, Timo Too-Hop, a 5.9% pale ale and Lunar Weizen, a 5.7% German hefeweizen. All pints were $5 and 5oz pours were $2 a piece. 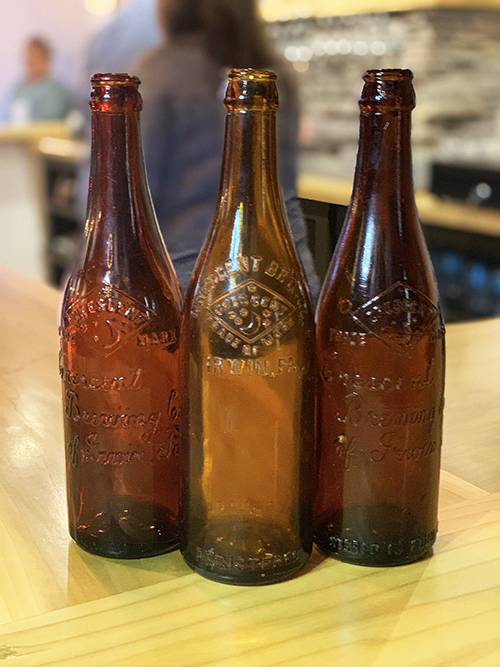 New Crescent Brewing Co. is also taking inspiration from astronomy and celestial terms to come up with names for their beers. Not only that but their beer flights, comprised of 4, 5oz beers ($8) are shaped like a crescent moon. Their Main Street location, across the street from The Lamp Theatre was previously two storefronts that they combined to create a cozy taproom with a nice size bar, tables for gathering and plenty of open space. In the back you’ll find the five-barrel brewery which the owners are happy to show you and discuss their new system. New Crescent will be open Thursday & Friday evenings from 4-10pm and Saturdays from 12-10pm to start. They plan to expand hours and possibly have live music and food trucks in the future. Join them at their Official Opening, Saturday, February 2nd from 12-10pm. Want to make a few brewery stops in Irwin? 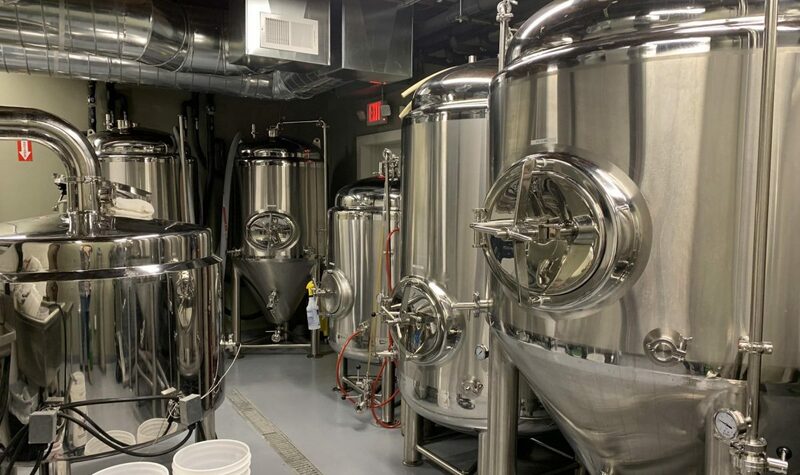 Stop by our friends at Quinn Brewing Company, Fury Brewing Company and Full Pint Brewing, all of which are just a couple miles from each other.